Descripton: 2.6 acres Parcel on Upper Naselle Road, Pacific Co. Flat, replanted fir trees(20 yrs), with Schlick Creek passing trough it. Quiet and remote! Descripton: Skamokawa - Wahkiakum County .86 acre RV site along the State highway. Descripton: 7.21 Acres of Flat Forested Land with Homesite Potential! Corner of South Valley Road and Whealdon Road (across from the cemetery) in Naselle. Descripton: Two Beautiful Riverfront and high ground parcels off of So. Valley Road in Naselle Lower Parcel (10090914054) is 8.21 acres with about 400 feet of Naselle River frontage. Upper parcel is about 3.54 acres of prime buildable view property. The "Hill Hole" is where the property touches the river. Public water and power available. 1.8 acres View of the Grays Bay & Columbia River. Former house site, well, power. 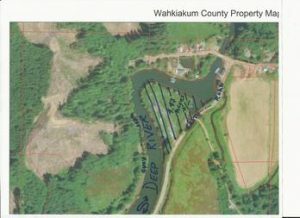 Descripton: Naselle address - Wahkiakum Conty Very unique parcel on the Deep River. 4.47 acres (Peninsula) surrounded by water! Lots of Wildlife, still water with Columbia River access! 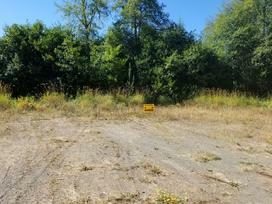 Descripton: Located just west of Hunter's Inn - Naselle Two separate tax ID's: #10091014098 #10091013099 Lot size: .68 acre, Prime building site, for multi-use opportunity. Contract terms available. Descripton: Two parcels with the Altoona-Pillar Rock Road going through them. One parcel is to the West with about 1300' of Grays Bay Frontage and including undivided 1/2 interest 2nd Class Tideland(Eff 671' FF). The other parcel is full of trees and hillside that will afford views down the Columbia river to the Astoria-Megler Bridge. Descripton: 7.69 acres is in Designated Forest Land Classification (DFL) Building site (1 acre or more ) can be removed by paying a compensating tax to the County. You can leave the rest of the acreage in the DFL classification to keep your property taxes lower. Utilities are available. Privacy! Surrounded by trees! “Includes undeveloped building site with spectacular view, etc., rare river front property”. Great spot on the Columbia River for fishing, camping and recreating. Good driveway (steep) down to a small footprint just above the rocky beach. Ideal location to fish for summer steelhead and salmon. 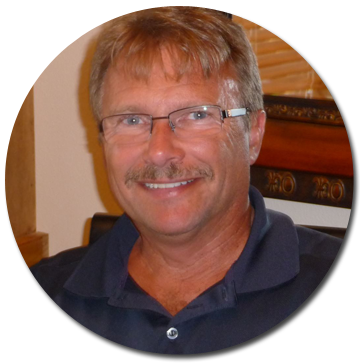 Below you will find our locally listed properties; timberland, unimproved and building sites – both Pacific and Wahkiakum Counties. For maps, copies of surveys, aerials, or more specific information please give us a call anytime and we will be happy to get more information to you or take you for a drive to see specific properties. This property is located on a quiet County Road. It slopes gently up from the road and levels off where there is an existing trailer. Utilities are on the parcel. Small shed behind a gate on this 9/10 ths of acre parcel. Just upriver from the Naselle Salmon Hatchery. All utilities have been installed; electricity, water, fiber and septic for a 2 bedroom home. Privacy and Views This remote acreage has a well maintained manufactured home and views of the Columbia River all the way to Astoria, Oregon. Call for an appointment to look at and purchase this extra-ordinary parcel. Descripton: 17 acres of Timbered property with building sites and Outstanding views of the Columbia River ship channel! Ready to Move into ! !